It is important to have your central heating and appliances servicedaccording to the manufacturers specifications. You can rely on Chiltern Heating & Gas Services to have a Gas Safe registered engineer can come to your home and perform a boiler or central heating service. We are able to visit and service appliances in and around the High Wycombe, Buckinghamshire and beyond. Appliance servicing should always be undertaken on an annual basis. If you have a newly installed boiler the manufacturers warranty will state that the boiler requires an annual service in order to be covered for any parts and labour by the manufacturer. If a boiler is out of its warranty period then the annual service will be vital to ensure it’s running safely and efficiently. 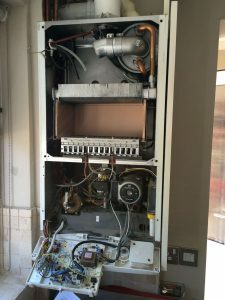 Often a boiler service can catch a small issue before it becomes a big, and expensive, problem. On occasion we’ve had to condemn and replace boilers for being immediately dangerous. 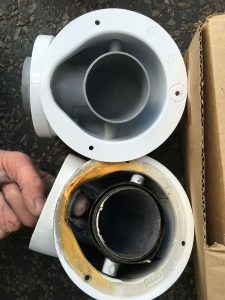 This is due to the damage caused from problems that could of been easily rectified if the boiler had been serviced from the start of its working life.